Nutritionist Resource blogger Kat talks about her journey to intuitive eating. When I tell people I eat what I want, when I want – I tend to get some funny looks. With diet culture rife in our society, the idea of eating whatever we want is an alien concept for many. The story gets even stranger when I mention that I used to have anorexia, an eating disorder that involves restrictive eating. Let’s back up a minute though – when I say I eat what I want, when I want, I don’t mean I run around throwing any food that I come across into my mouth. What I mean is, that I listen to my body’s hunger cues, I consider what would satisfy that hunger and I… eat it. Sometimes I crave fresh, juicy fruit, fish and vegetables. Other times nothing but, mac ‘n’ cheese, chocolate and a glass of red will satiate me. I take joy in food and note how the foods I eat make me feel. If I feel bloated, in pain or lethargic after a meal, I remember to avoid (or reduce my portions) next time. If a particular snack boosts my energy – I’ll keep it in mind for the future. This way of eating, with its distinct lack of restrictions, rules or calorie counting, is called intuitive eating. Intuitive eating (or IE) is a way of eating that rejects the diet mentality. It encourages us, instead, to investigate our relationship with food and our bodies. It encourages us to respect our hunger (and our fullness). It asks us to honour our health and to honour our feelings, without using food. So why is this seemingly simple approach to eating so revolutionary? 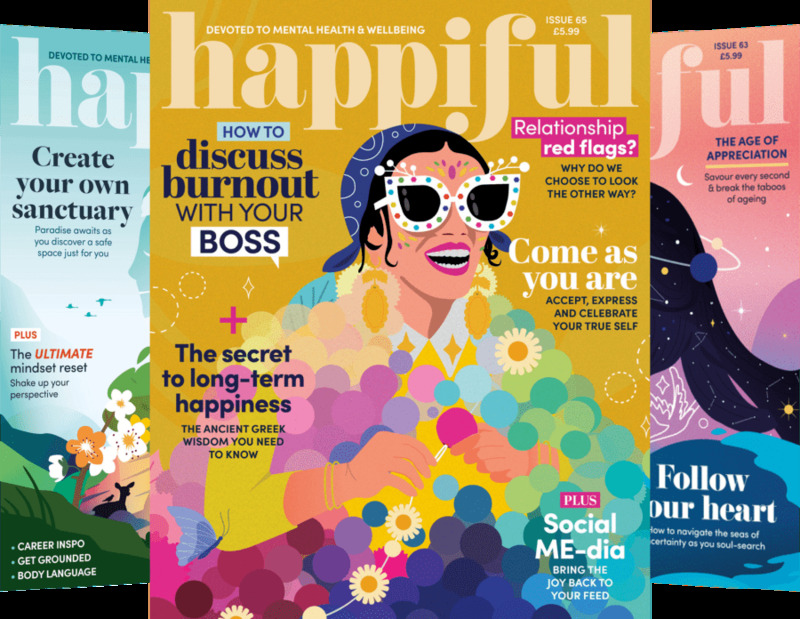 Registered nutritionist Laura Thomas recently talked to Happiful magazine and explains. “Because we’re constantly bombarded with food rules, with shoulds and shouldn’ts, we effectively build this elaborate, complicated system in our heads for eating, causing confusion, stress and anxiety. I remember the food rules Laura mentions well. The well-meaning, supposedly ‘health-promoting’ rules can so easily get twisted and transformed into disordered eating. I couldn’t tell you how many magazine articles about different diets I read at the start of my eating disorder. Freeing myself from these rules has been (and I don’t say this lightly) life changing. When asked how people can take those first steps into escaping the storm, Laura recommends going through your social media feeds and deleting anyone that enforces this diet mentality so many of us wrestle with, replacing them with more positive messages. Getting supported with IE resources is another step, Laura recommends her podcast ‘Don’t Salt my Game’ as well as listening to/reading other people’s experiences. Getting your head around the 10 principles of IE is another great step to take, as well as immersing yourself in books/blogs about the subject. Laura encourages a step away from tracking apps (especially important if you’ve had/have disordered eating) as well. Working with a professional to help you understand your relationship with food can be a big help, as well as seeking support from a nutritionist who works in the intuitive eating realm. There are people available to support you as you make this transition. And yes, making the transition from the social norm of ‘dieting’ and analysing everything you eat to intuitive eating is a big one, I understand that. But if someone with a history of restrictive eating disorders can learn to listen to her body and eat what she wants, when she wants… you can too. Can gluten cause digestive problems and auto-immune diseases? Are you a stress eater?